When you are considering remodeling your kitchen or bathroom, take the first step and call the professionals. We offer you free estimates on all our quality services and can even handle your insurance claims. 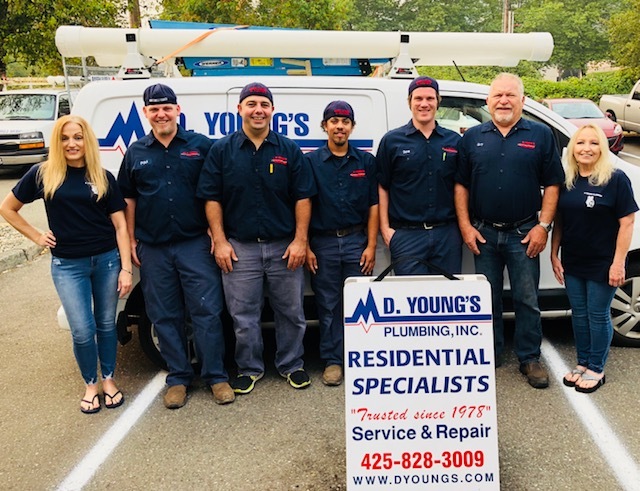 D. Young’s Plumbing Inc. can completely remodel your bathroom and kitchen to your exact specifications and budget. Whether you need to add another appliance hookup or want a new walk-in shower in your master bathroom, our experienced crews can handle everything for you.